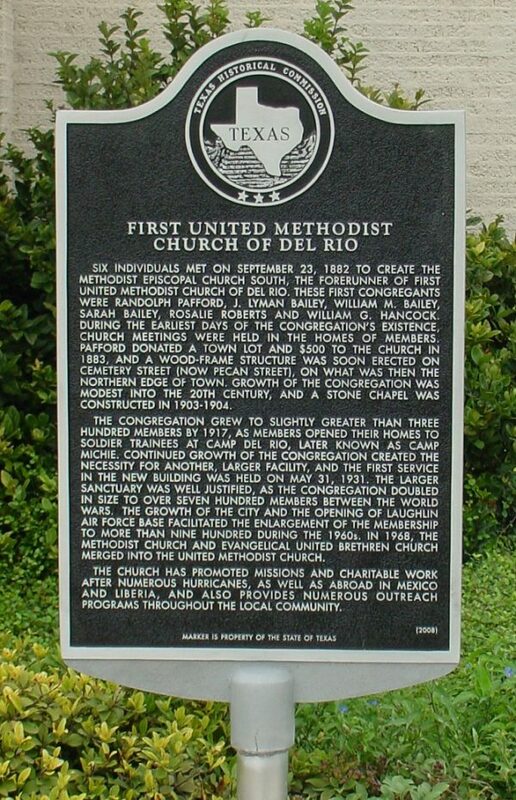 Located in the small border town of Del Rio, Texas, the First United Methodist Church is a small but stunning church with a rich history. The church houses 29 stained glass windows, all of which are incredibly beautiful and ornate. 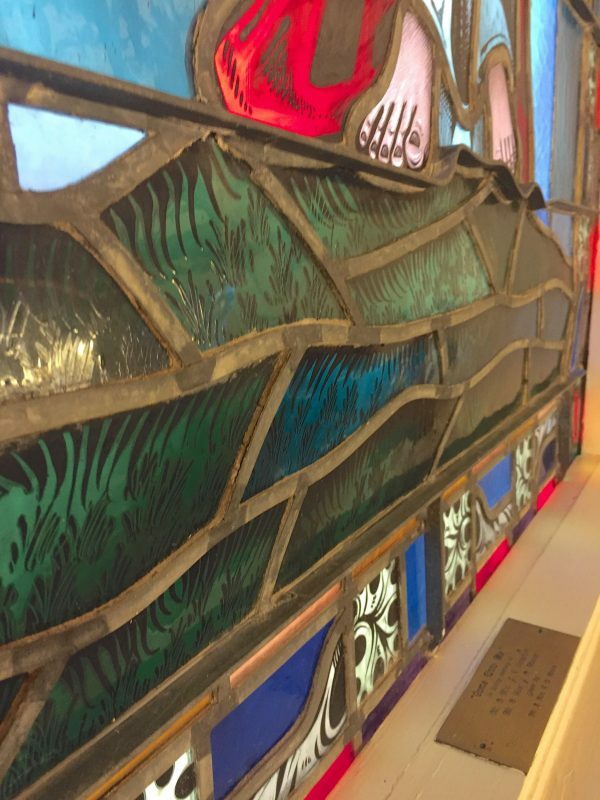 One of the members of the church had begun to notice that the stained glass was showing signs of deterioration, so the church board contacted us requesting an inspection. 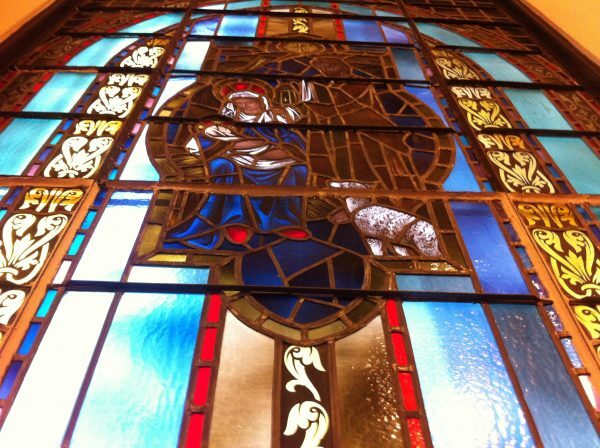 When we arrived, we were incredibly impressed by the quality and beauty of the stained glass. The glass itself was of very high quality and the hand painted details had been executed flawlessly. 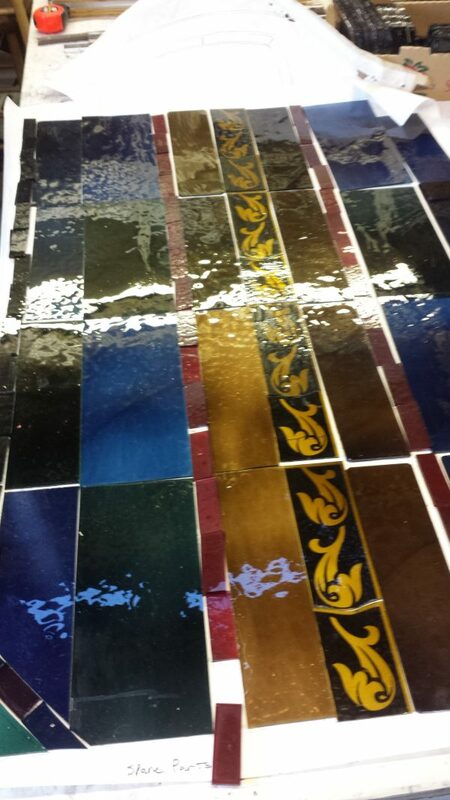 However, it was evident that the stained glass was in need of extensive and immediate restoration. The lead caming was beginning to warp and sag. This was causing the steel brace bars to separate from the panels and the glass was beginning to lose its shape and many pieces had a concave or convex appearance. Because of the movement in the leading, the putty holding the glass pieces together was also starting to fall out. It was only a matter of time before pieces of glass would start to fall out of the windows or break due to the increase in pressure. The main cause of this deterioration was exposure to too much heat. 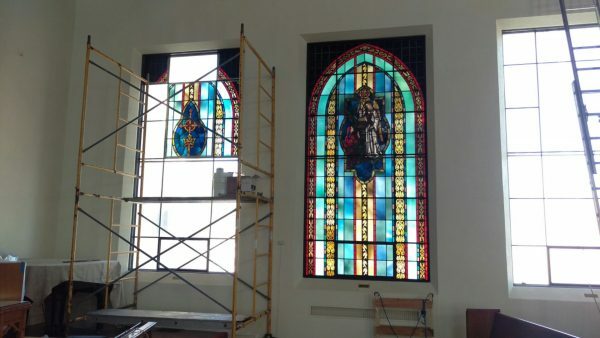 Whoever had installed the stained glass windows had added a piece of plexiglass over the top. Up until the last few decades, this was a common practice, although one that was, unbeknownst back then, a mistake. Del Rio receives a large amount of sunlight. 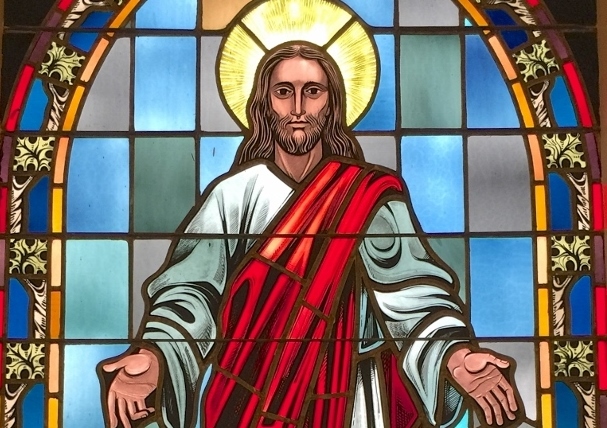 Over time, exposure to too much sun can cause heat to build up between the plexiglass and the stained glass, which causes the lead to heat up and, over time, become misshapen. 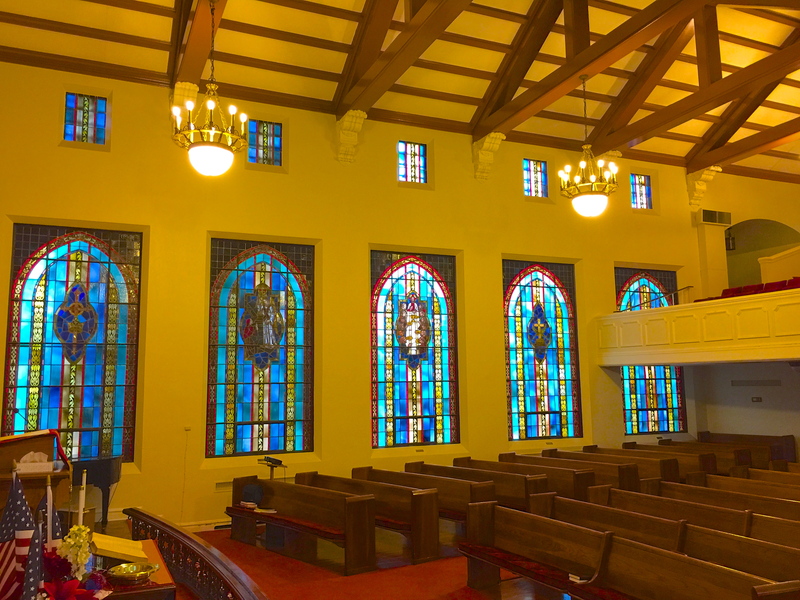 Additionally, the plexiglass had also developed a yellow hue which made it difficult to see the stained glass from the outside of the building. The other causes of the deterioration were mistakes in the materials and the design. Some of the support bars were tapered off at the end, which essentially made them ineffective in terms of being able to support the weight of the glass.  Additionally, zinc had been used for some of the caming instead of lead. Zinc works well for cool climates but expands and warps in warm climates. All 28 windows needed to be fully restored. This would come to a total of approximately 20,000 pieces of individual glass. For this reason, we decided to complete the work in phases. Completing the work in phases also gave the church enough time to raise funds for each phase since the work was being funded almost entirely from donations. 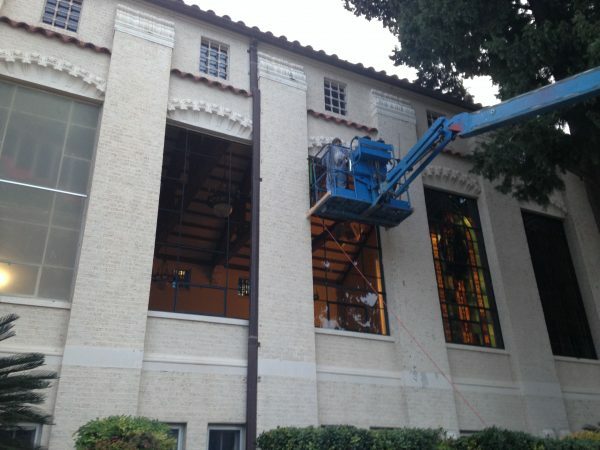 For the first phase, we removed four of the largest windows for restoration. Simultaneously, we also had exterior framing manufactured for 17 of the windows that required protection. 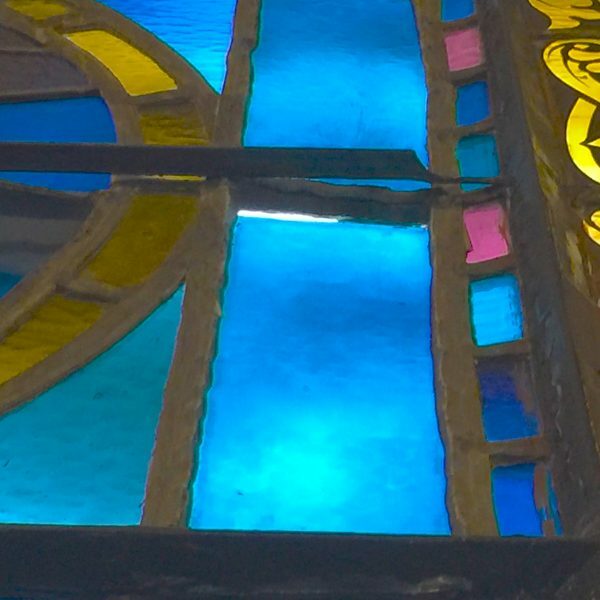 The stained glass was cut out using dremel tools and we completed the restoration at our workshop. Next, we started work for phase two. 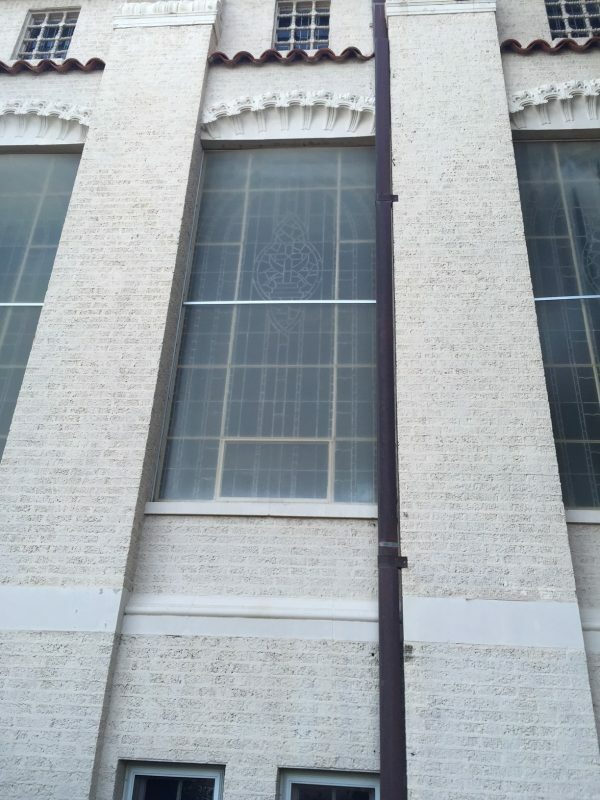 The first four windows were installed and six more windows were removed for restoration. After 24 weeks, we returned and reinstalled these windows then began phase three. The 17 remaining windows were removed and brought back to our workshop then returned after they had been cleaned and restored. The project took a total of 19 months to complete. 18 months were spent restoring the stained glass and another month was spent on site at the church for the removal and installation work. One thing that we were extremely proud of for this project was that we were able to preserve the majority of the original glass. This helped to preserve the historic value of the windows since they were nearly 100 years old and could be considered antiques.